The Fives’ Cement | Minerals specialism recently set up its new Research and Testing Center in the industrial area of Seclin (France). On 13th November 2014, Cimar produced its first cement in its Cimento Bravo site, in Brazil. 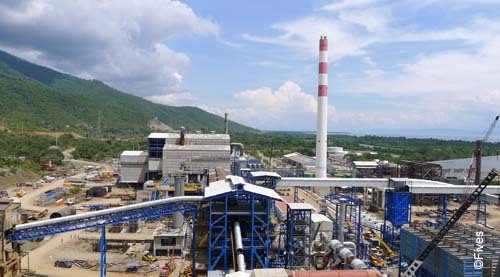 In April 2013, Fives was awarded a contract to supply a coal combustion system for ferronickel kiln and dryer to Compania Guatemalteca de Niquel (CGN). As part of this contract, Fives supplied a Pillard NovaFlam® burner and a Pillard GRFlam burner. The Fives Group was well represented at the Annual IEEE - IAS / PCA Cement Industry Technical Conference. Lafarge Republic Inc., Philippines, ordered to Fives FCB a new cement grinding plant for the Norzagaray plant located in Bulacan province. This is to a large extent a repeat order of the contract placed for the Teresa plant mid-2013. Lafarge Republic Inc., Philippines, ordered to Fives FCB a new cement grinding plant for the Teresa plant located in Rizal province.